Welcome to the seventy-fifth issue of MetaboNews, a monthly newsletter published in partnership between The Metabolomics Innovation Centre (TMIC, http://www.metabolomicscentre.ca/) and the international Metabolomics Society (http://www.metabolomicssociety.org/), to keep metabolomics researchers and other professionals informed about new technologies, software, databases, events, job postings, conferences, training opportunities, interviews, publications, awards, and other newsworthy items concerning metabolomics. MetaboNews represents the one-stop-shop for the very latest and most critical news about the science of metabolomics. 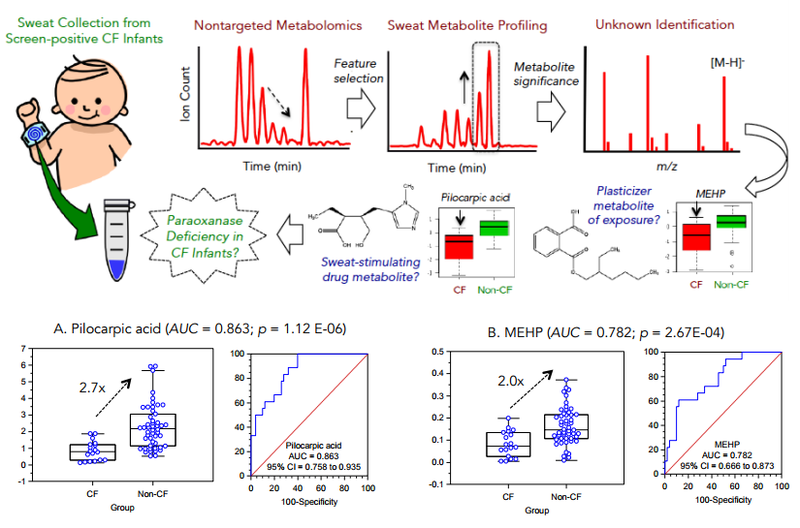 In this issue, we feature a Metabolomics Spotlight article by Philip Britz-McKibbin of McMaster University (Canada) titled "Exogenous Metabolites in Sweat of Cystic Fibrosis Infants Provide New Insights into Disease Pathophysiology". The 14th Annual Conference of the Metabolomics Society will be held in Seattle, Washington, USA, on June 25-28, 2018. The Society’s annual conference consistently features the latest and greatest advances in metabolomics science. In 2018, we converge on Seattle, a world-class metropolis set within the wild, beautiful, natural surroundings of the Pacific Northwest. Further details will be released regularly at http://metabolomics2018.org/. Proposals for Workshops, to be held on the Sunday and Monday mornings before the conference, are currently being accepted until November 10 at http://metabolomics2018.org/ (scroll to the bottom). A Call for Abstracts will be made in late November/early December. 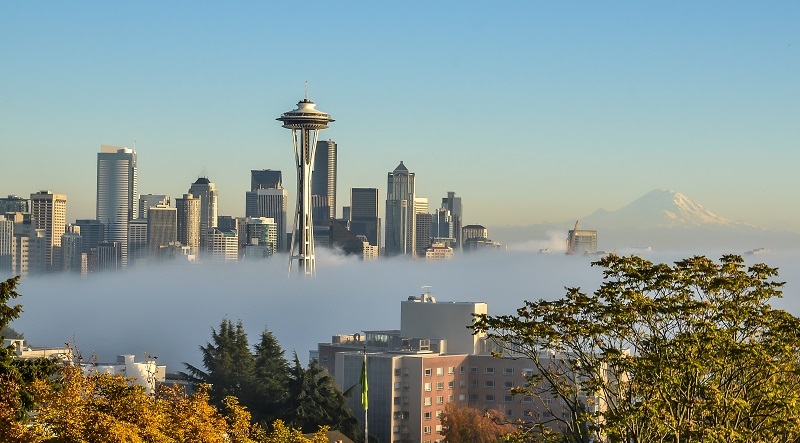 We look forward to seeing you at the exciting Metabolomics 2018 meeting in Seattle! The Metabolomics Society is calling for interested members in the Greater Asia region to express their interest in hosting the 2020 annual Metabolomics Society meeting (http://metabolomics2020.org/). We are extending the deadline of expression of interest (EOI) until 20th December 2017. Please send notice of your interest using this form by the deadline. You should name individuals who will be key to forming a Local Organizing Committee (LOC), and outline the scientific plan for the conference. The LOC will report to the Metabolomics Society and assist A-S-K staff to select a suitable venue and organize the conference. The tasks of the LOC are to ensure national and regional support for the conference, to assist the Society in administrative planning and, most importantly, to chair and organize the scientific management of the conference, including forming an International Organizing Committee that is responsible for the scientific aspects of the meeting. Please complete the application form outlining your ideas to maximize the scientific quality and outreach of the conference. For further enquiries, please contact the Society via A-S-K Associates (metabolomics@askusa.com). For the October Board of Directors meeting, we welcomed Horst Joachim Schirra and Charmion Cruickshank-Quinn to the Board and welcomed back Sastia Putri for another term. For our out-going directors, all the current board members would like to thank Darren Creek for his hard work on the board and in particular for chairing the conference and training committees. We also say goodbye to Stacey Reinke both as a board member and chair of the Early Members Network (EMN), and thank her for all her efforts in heading such a vibrant EMN. For those of you who don’t know our new board members, Horst was one of the co-organizers of the excellent Brisbane meeting (and has a particular fondness for ice cream!) and Charmion is the new chair of the EMN, having already served on the network as a committee member. Sastia will take over the chair of the Conferences Committee while Christoph Junot will chair a new Training Committee (which has unofficially met but is waiting on a change in the bylaws to be formally ratified). I hope that’s all clear; if you do want to contact us, there is a full list of board members and committee members on the Society’s website—please do drop us a line if you have any questions. One of the agenda items was a report on the Society finances by the treasurer, Nichole Reisdorph. The overall message is the Society is in good financial health, helped further by the successful Brisbane meeting in June 2017. We are currently debating whether we should have a "Town Hall Meeting" each year so you, as members, get a feeling for the health of the Society. While this may not be the most thrilling of talks in Seattle, the plan is to have a Society presentation where you get to see how we are doing financially, and hear news about new affiliates and the work of our task groups. We hope this will encourage members to feel the society really is for them, and maybe we will be welcoming you to the board in the not too distant future! The EMN Committee is pleased to announce our six new members: Dara Daygon (Australia), Ricardo Heredia (UK), Christina Jones (USA), Zhanlong Mei (Denmark), Isabel Orf (UK), and Umaporn Uawisetwathana (Thailand). They will join six committee members who will continue their term for a second year: Tim Causon (Austria), Romanas Chaleckis (Japan), Charmion Cruickshank-Quinn (USA, new Chair), Johannes Fahrmann (USA), Julia Kuligowski (Spain), and Candice Ulmer (USA). Krista Zanetti will continue her role as the EMN Advisor; Stacey Reinke will join her in an advisory role as Past Chair. We would like to cordially thank outgoing committee members: Devin Benheim (Australia), Nicola Gray (UK), Aoife O'Gorman (Ireland), Stacey Reinke (Australia), Jan Stanstrup (Denmark), Fidele Tugizimana (South Africa), and Baljit Ubhi (USA). With our new committee members in place, we are currently allocating roles and working groups that will continue developing our webinar series, conference workshops, and new outreach activities for early career members. We would love to hear any suggestions at info.emn@metabolomicssociety.org and would encourage you to visit our Facebook page. Be on the lookout for emails from the Society with additional information on the next EMN webinar series session. All the videos for the EMN webinar series from 2015, 2016, and 2017 can be found on the Metabolomics Society Website. What is the chemical composition of the sweat from screen-positive CF infants as revealed by nontargeted metabolites profiling? What other small molecules in sweat discriminate affected CF infants from non-affected carriers, which could also shed new insight into CF disease pathophysiology? We used multisegment injection capillary electrophoresis-mass spectrometry (MSI-CE-MS) as a high throughput platform in metabolomics that is ideal for resolving polar/ionic metabolites from small volumes (2-5 μL) of residual infant sweat samples. In this case, retrospective sweat specimens from a cohort of screen-positive CF infants were analyzed by MSI-CE-MS using an accelerated data workflow for biomarker discovery with quality assurance . We reported that sweat asparagine and glutamine discriminate between CF affected infants and unaffected carriers, as well as two unknown compounds that were excreted in the sweat at lower concentrations in CF cases. These metabolites were subsequently identified by MS/MS as enzyme-mediated hydrolysis products of the drug, pilocarpine used to stimulate sweat response (i.e., pilocarpic acid), and a metabolite of a ubiquitous phthalate ester plasticizer (i.e., mono(2-ethylhexyl)phthalate or MEHP) from environmental exposure. As shown in Figure 1, both these exogenous metabolites indicated an underlying deficiency of human paraoxanase in CF infants, an arylesterase/lactonase enzyme known to mediate inflammation and recurrent infections due to bacterial biofilm formation in lungs . In essence, CF patients are at higher risk for paraoxanase deficiency that manifests early in life among asymptomatic CF infants as inferred by altered sweat metabolism, which is likely a result of linkage disequilibrium caused by close proximity of genes encoding for paraoxanases to severe mutations of CFTR . Figure 1. The sweat metabolome from screen-positive CF infants revealed a panel of sweat metabolites associated with CF disease status among affected infants (sweat chloride ≥ 60 mM) as compared to unaffected carriers (sweat chloride ≤ 29 mM). Unexpectedly, CF infants were found to exhibit lower excretion of pilocarpic acid, the major drug metabolite following sweat stimulation by pilocarpine. In addition, CF infants also excreted lower concentrations of the ubiquitous plasticizer from environmental exposure, namely mono(2-ethylhexyl)phthalate or MEHP. Both exogenous metabolites were associated to an underlying deficiency in human paraoxanase that is weakly linked to mutations in the CFTR gene. In summary, our metabolomics study represents an exciting development in the understanding of the pathophysiology of CF based on secondary testing of volume-restricted amounts of sweat from screen-positive infants. Remarkably, an infant’s differential responses to drug stimulation and their capacity to detoxify xenobiotics via sweat secretion reflected underlying CF disease status beyond defective chloride transport. Future work will validate the clinical utility of a panel of sweat metabolites for predicting disease progression in CF, as well as evaluating treatment responses to targeted therapeutic interventions optimal for CF patients. VANTED: A Tool for Integrative Visualization and Analysis of -Omics Data. Critical Assessment of Small Molecule Identification 2016: automated methods. The Chemistry Development Kit (CDK) v2.0: atom typing, depiction, molecular formulas, and substructure searching. Comprehensive comparison of in silico MS/MS fragmentation tools of the CASMI contest: database boosting is needed to achieve 93% accuracy. Comprehensive gas chromatography: food and metabolomics applications in analysis of volatile biologically important compounds in different matrices. Dimethylguanidino valeric acid is a marker of liver fat and predicts diabetes. ADAP-GC 3.2: Graphical Software Tool for Efficient Spectral Deconvolution of Gas Chromatography-High Resolution Mass Spectrometry Metabolomics Data. Metabolomics applied to diabetes - lessons from human population studies. This 4-day course provides a comprehensive overview of data analysis for metabolic profiling studies with data acquired from NMR spectroscopy and Liquid Chromatography-Mass Spectrometry. It combines lectures and tutorial sessions to ensure a thorough understanding of the theory and practical applications. Building in the success of the 1st International Electronic Conference of Metabolomics (IECM-1) in 2016, Metabolites (ISSN 2218-1989), a peer-reviewed, scientific journal, edited by MDPI AG, is proud to be the organizer and sponsor of the second International Electronic Conference on Metabolomics. Contributions dealing with any discipline promoting metabolism and metabolomics will be welcomed. The conference will be held online (http://sciforum.net/conference/iecm-2) from 20–27 November 2017, enabling you to present your latest research to the scientific community and to have the opportunity to participate in fruitful exchanges of information with academic and industrial groups from all over the world. It is absolutely free of charge to participate as an author or a visitor; all you need to do is create an account on the home page. After the event, proceedings from the conference (abstracts) will be published in the online open access journal, Proceedings. On behalf of our active scientific committee and dynamic editorial staff, we warmly invite you to join us at the second International Electronic Conference on Metabolomics and we look forward to posting your contribution. For further information, please visit http://sciforum.net/conference/iecm-2. No registration cost. Register here. A lecture based course detailing an overview of metabolic phenotyping including the use of NMR spectroscopy and Mass Spectrometry, with insights from the experts at Imperial College and collaborators from all over the world. Lectures will cover data acquisition and analysis with some advanced statistical workshops for more hands-on participation for attendees. There will also be examples of real life applications from the research at Imperial College and their collaborators. Day 1: Registration followed by session 1 which will cover an analytical technology (either NMR or MS) for metabolic profiling. A laboratory tour of the facilities will follow. Day 2: Session 2 will cover the alternative analytical technique (NMR / MS) and will be followed by session 3 which will introduce the theory to statistical analysis. Day 3: Session 4 covers more advanced chemometrics, such as OPLS and O2PLS and includes hands-on workshops. Session 5 will introduce metabolite identification in both NMR and MS and cover some tips and tricks to avoid common pitfalls. Day 4: The final day will cover some of the real life applications of NMR and MS for metabolic phenotyping. For further information, please visit http://www.imperial.ac.uk/imperial-international-phenome-training-centre/courses/metabolic-phenotyping-in-disease-diagnosis-and-personalised-health-care/. This course is an introduction to metabolomics principles and their applications in various fields of life sciences. For further information, please visit https://www.edx.org/course/metabolomics-life-sciences-osakaux-metab101x.